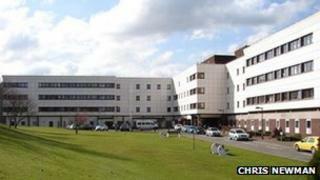 Formal public consultation is set to start on plans to develop a new general hospital in Dumfries. The Scottish government has earmarked up to £230m to finance a replacement for the town's infirmary. A list of five potential sites has been drawn up for the development, including the existing hospital site. A regionwide programme of events is planned to gather local views on which services should be provided and where it should be located. The possibility of carrying out improvement works to the current Dumfries Infirmary has been ruled out. Now NHS Dumfries and Galloway is putting together a business case for the new facility. One of the options would be for the hospital to stay on its current site. The other locations being considered are at the Garroch or Lockerbie roundabouts on the A75, south of Tinwald Downs Road or in Locharbriggs.